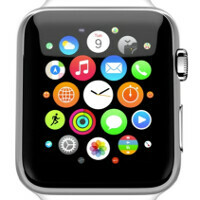 Carphone Warehouse and Best Buy shut out of Apple Watch launch? In the U.K., Carphone Warehouse CEO Graham Stapleton revealed on Tuesday that his 800 store chain will not be getting the Apple Watch, at least not during the launch of the device. Stapleton says that he would love to have the timepiece available in his stores, but says that Apple is "going another way with it." Based on Stapleton's comments, rumors that Best Buy will be shut out of the Apple Watch launch on April 24th would also appear to be true. So what is the way that Apple is going, as alluded to by Stapleton? Last month we told you that one of Japan's trendiest department stores, Isetan, is going to sell the Apple Watch in a kiosk by a part of the store where Tiffany and Cartier sell their pricey wares. In London, Selfridges' flagship store is going to promote the higher priced Apple Watch Edition models using a window display. The main thing that we can take away from all of this is that Apple cannot sell its high-end watches by putting them next to the iPhone and the iPad. A $10,000 watch needs to be sold through a different sales channel than a $700 smartphone or $500 tablet. Meanwhile, Piper Jaffray analyst Gene Munster says that between pre-orders and first weekend sales, Apple will unload one million watches right off the bat. By June, Munster predicts that Apple will have sold 2.3 million units. Pre-orders begin April 10th. Best Buy can barely sell phones properly, how do they expect selling the Apple Watch? Every time I go to upgrade, I run into problems. Alsooooo, I don't understand for the life of me why Best Buy doesn't let the Samsung kiosk sell their devices directly, as well as the Apple kiosk. The people at the mobile sales station are something I never want to encounter again. Talk about something that's going to be old news by launch day.... Sheesh. Did you just wake up or something seven7dust? If Apple sells only 10,000 Apple Watch Editions at $17,000. Then that is $170 million dollars for only 10,000 watches. Its because Apple is trying to escalate themselves to the status of Rolex and other high end watches. Idiots like yourself think that slapping a gold case around smart watch guts makes it premium. Although you can dance around and sugar coat things to make things look fancy and wonderful, but in the end its still a smart watch that lasts 18 hours, and has to be charged daily. Not to mention the watch apps and functionality comes from your connected smart phone. The only gimmick and lies come from Apple and its zealots like you seven7dust. I have this feeling this is going to be a flop after the iPhone 5c. This thing doesn't impress at all. It got stale even before its launch. I might be wrong though. Watch it sell like hot cakes. First was the reduction of orders by half due the "display yield" problems. Yeah right. Now this hurdle. Seems to me Apple is aware that there is no big demand for that watch so they can take up the whole "load" by themselves. Doom and gloom of Apple Watch iminent. reduction of orders twice not just once.